Last month, I made quite a major change in my skincare routine. I stopped using facial oils both day and night and went back to using a Japanese brand. I need to qualify that I still love using facial oils and there’s absolutely nothing wrong with them. 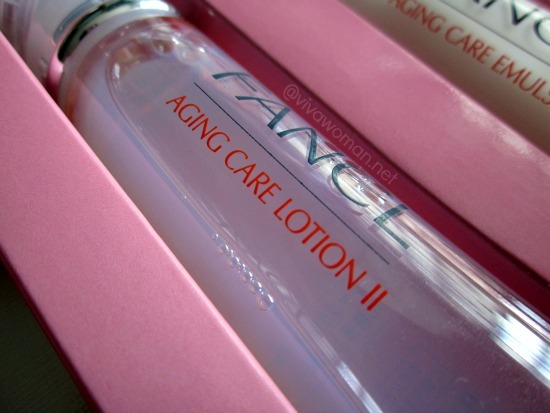 It just so happened that I was sent a set of the new Fancl aging care line and I thought I’ll just make a complete switch. Plus, adding oil on top of the 5-step skincare seems too much anyway. 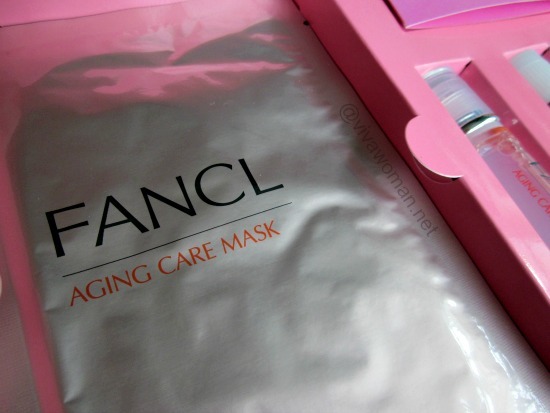 For my international readers who might not be too familiar with Fancl, this is a leading Japanese skincare brand and one of the few I know of that is established on the unique philosophy of absolute Mutenka. 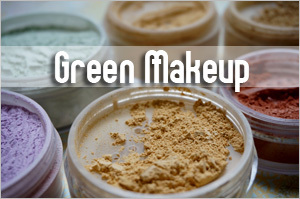 This means that their products are created with only essential ingredients beneficial to our skin and are free of additives like fragrance, petroleum surfactants, mineral oil, parabens, and artificial colorings. 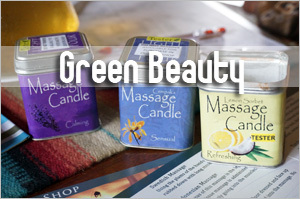 The brand places a lot of emphasis on their products being gentle and safe. Many of their products are deliberately packaged in small bottles, enough for a 30-day supply to ensure freshness and all bottles come with fully sealed caps to be removed before use. 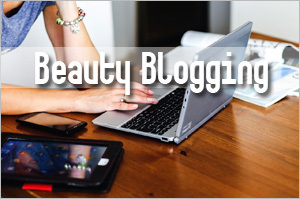 Best of all, all skincare packages bear a manufacturing date, providing total transparency to consumers. 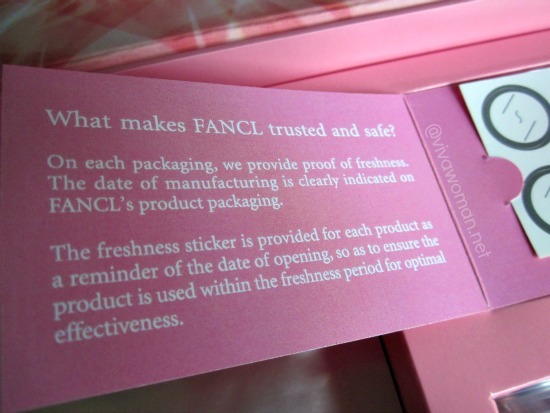 I like that Fancl’s products are fresh and effective because all products only have a year of lifespan from the manufacturing date if they’re unopened. Once opened, they must be used within 60 days. So yeah, this brand is right up my alley and the new aging *ahem* care line is definitely suitable for my skin although I don’t really like how it’s called. But never mind about that if it works to renew my skin with its promises of breathing new life into any complexion eh? According to the Japanese brand, skin must first be purified from stress and Fancl aims to achieve this through the use of Malvidin, which is distilled from flowers like the Malva Sylvestris (Mallow) and the Blue Sweet Pea. Additionally, Fancl’s new breakthrough technology using advanced penetrating nano capsule technology promotes the maximum absorption of the concentrated ingredients, allowing skin to look younger instantly. It is said that a higher amount of beauty ingredients is delivered to each layer of the skin through the use of a high-penetration cellular-sized capsule that is protected with highly skin-affinitive membranes. Results are faster than before, as products protect skin from aging with the very first use. I’ll be telling you if this is true for me but let me just give you a quick breakdown of the products I’ve used. This is really a toner applied after cleansing to hydrate and prepare the skin. I like it because I can feel a difference to my skin when I skip this step. It so happened I was reading a Chinese book that highly recommended usage of a such a lotion and so I’ll most probably be getting another one after I’m done with the bottle. 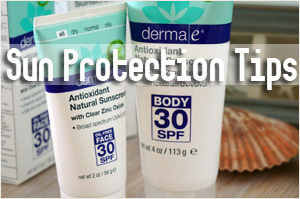 Lotion I is for those with oily skin while lotion II is for those with combination, normal or dry skin. This is the star product of the range and also my favorite. This essence is formulated to “intensively repair and strengthen damaged collaging” and is packed with concentrated active ingredients, Jujube Fruit Extract, to enhance the absorption of important nutrients to boost collagen synthesis, necessary for young, glowing skin. I started using this in the night first but have also been using it in the day after I realized that it behaves well with my sunscreen as it’s non-greasy and non-sticky. According to Fancl, this product fits into step 3. 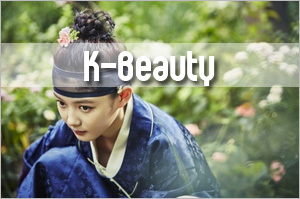 It’s said to contain abundant beauty ingredients designed to boost moisture level, promote collagen production and increase hydration. For a person who is not keen on sheet masks, I’ll say this is likeable as it’s not messy to use and does provide instant softness and plumpness to my skin. 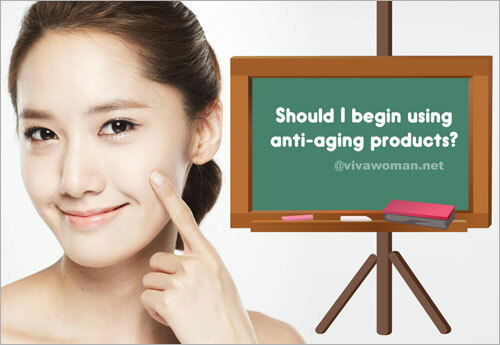 In step 4, it is between the Aging Care Emulsion and the Aging Care Cream. I chose the latter because it performed better for me. Hence, I hardly use the emulsion much and only gave it a try a few times. It’s kinda milky in texture and rather moisturizing. I can’t comment too much about it since I hardly used it except that it didn’t contribute any problems for me. This cream contains ingredients such as HTC Collagen and Hydrolyzed Yeast to replenish dehydrated skin and to enhance collagen production within the skin. It also contains hyaluronic acid, which sometimes causes my skin to breakout. However, using this only once in the night didn’t give me any problems. In fact, I rather like this because I noticed my skin more dewy the morning after compared to using the Aging Care Emulsion. It’s not rich but rather matifying. 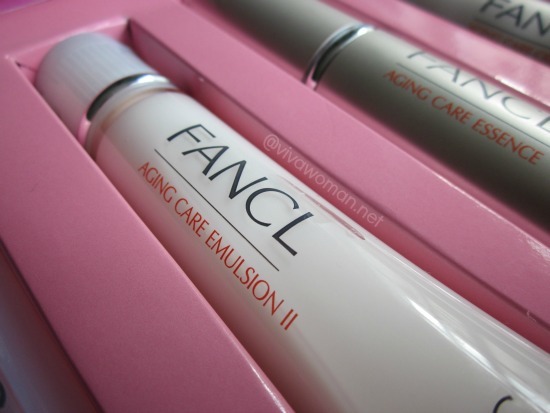 Fancl 5-Step Anti-Aging Line reviewed by Sesame on 2013-07-28 . 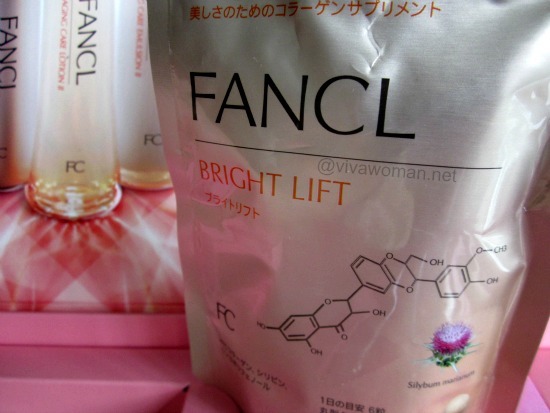 Skin care supplements are an integral part of Japanese skincare and these Fancl Bright Lift Supplements are supposed to support healthy skin with three key ingredients: HTC collagen for firmness and softness, apple polyphenol to prevent photo-aging and strengthen skin collagen, and silybin to remove old collagen trapped in skin, restoring skin’s radiance. I was surprised that the price point for these supplements are so reasonable and might just continue using it because I like that it is able to prevent photo-aging. 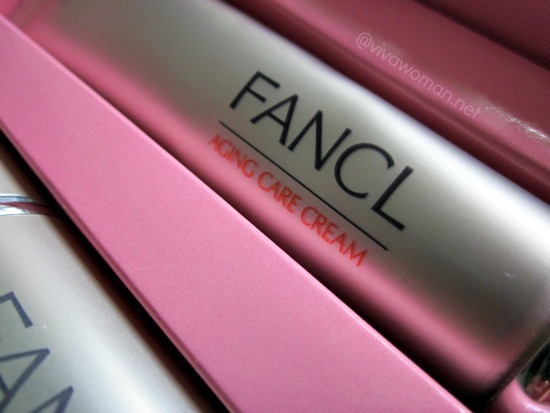 This is the first time I’m using products from Fancl and I’m quite happy with the performance. 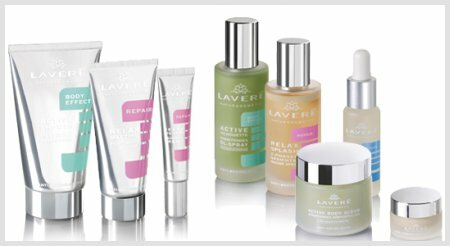 Although I can’t say I’ve seen a remarkable difference in terms of a reduction in lines or wrinkles after using this set of products for four weeks, I do notice my skin feeling taut and firm. In addition, I think the hydration level in my skin is better now as my skin does not feel dry even in the later part of the day. 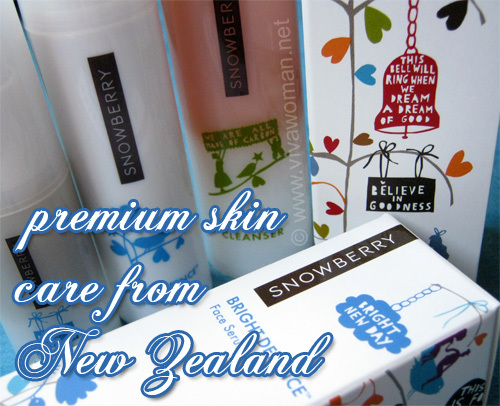 So this range can work for those with mature skin type and looking to prevent their skin from getting saggy. The only drawback is that the products use nanocapsule technology and while I’ve no problems with it, some of you may have your concerns. Additionally, the prices are not exactly affordable but so far, apart from the lotion, the rest of the products can probably last me another month or more. 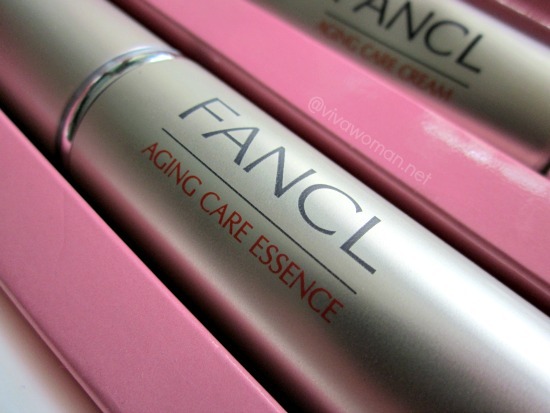 If you’re keen to find out about the new range of Fancl anti-aging care line, check out more information on their website. Hi Sesame, do you feel that facial oils in general, with all the good things they can do, they aren’t particularly effective in keeping the skin firm and taut? I’ve been using facial oils for years now and that seems to be my observation. No, on the contrary, I feel they do well to help me keep my skin firm. My observation is they do not keep the skin hydrated so using oil alone isn’t always sufficient. Agree. Oil is great for the skin. 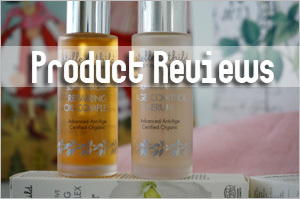 Eco Beauty, have you tried Rosehip oil? Great for the sin. Simply apply before bed. Awesome stuff. 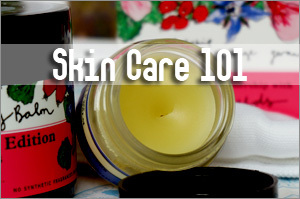 Different oils have different properties and also we need to consider skin types. Rosehip oil is okay but I prefer to use it mixed with other oils. As for firmness, I think diet might play a more important role. 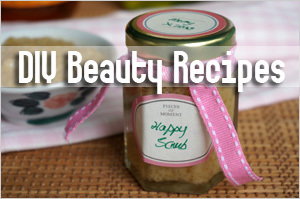 Hi Sesame, nanoparticles in skin care products are not a problem for the body if the nanoparticles themselves are physiological and work in harmony with the skin. If they are made from skin identical substances then they will merge very easily with the lipid bilayers within the skin where they can get utilised for the benefit of the skin. This is very different from solid nanoparticles that might lodge themselves and accumulate somewhere in the body. That’s my understanding anyway. Thanks Norah for the info! How do we know if the nanoparticles are made from skin identical substances? Hi, may I know where to get these products? And does it contains chemicals? You can get it at Fancl stores in Singapore. Check out locations through the website link. 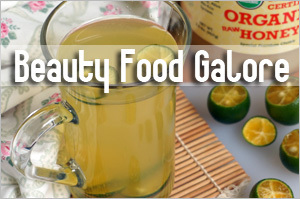 They do contain some amount of chemically processed ingredients but most of the harsh additives are excluded. I’m currently using facial oils twice a day and am really considering switching as I do get dry skin later in the day. Thanks for sharing this. 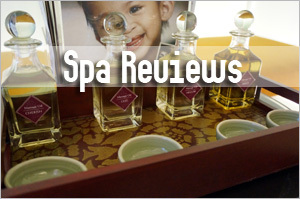 Agree that facial oils are but just one part of the routine. My skin has improved tremendously after I heeded Chizu Saeki’s “HYDRATE” message – been faithful with using toners, serums, emulsions etc before sealing with facial oil. The hydration has made a big difference. Agree. Hydrating is important. Oil for me works like a moisturizer to seal in the serum. Sesame, thanks for sharing this. I’ve been looking into Fancl for a bit and this is definitely looking promising. Check them out…perhaps you’ll like them. I like the fresh ingredients and cleaner ingredients concept. Hi Sesame, re identifying skin identical substances it’s just a matter of analysing the list of ingredients on the label and questioning the manufacturer if need be. I see…usually they are not so clear on their labels. I guess those concerned will take time to write but I wonder how true some of these information may be.